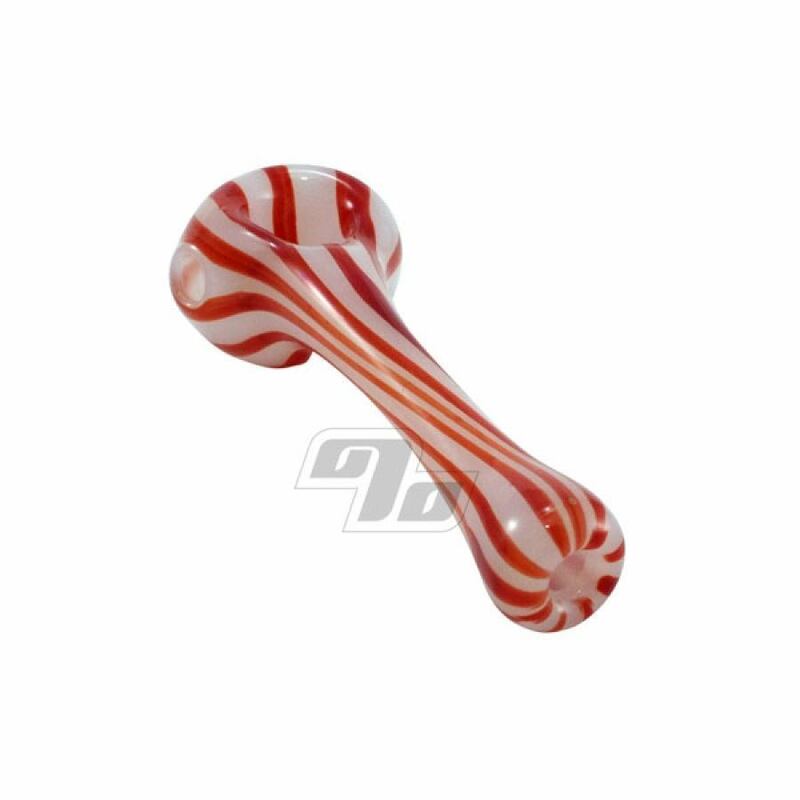 Handblown Candy Cane Striped Spoon Pipe with white and red swirl. 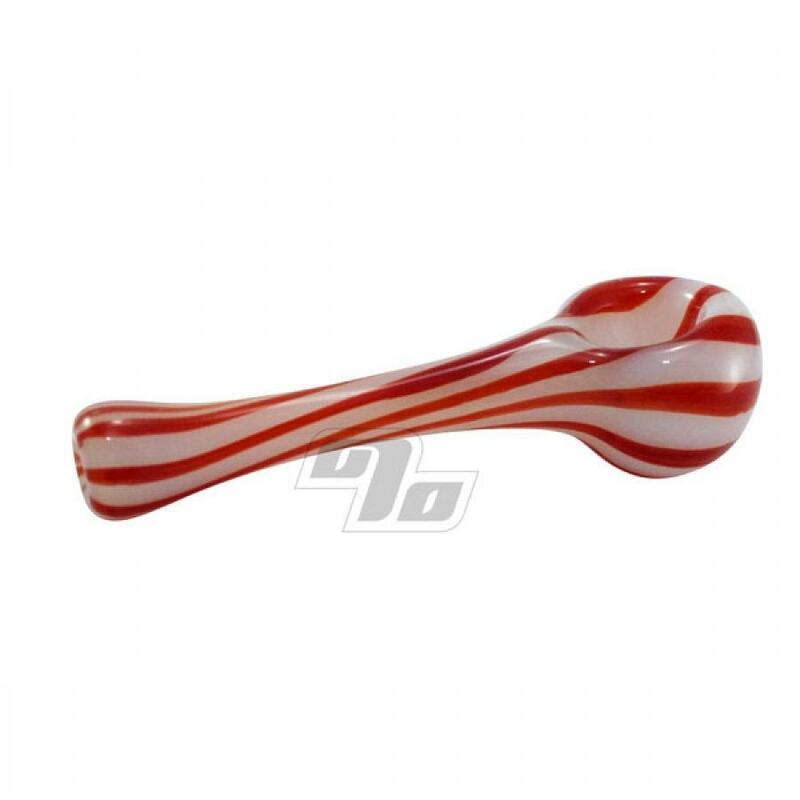 Great for year round use but especially nice during the holidays. Handblown means each one is unique. About 3.75-4" long w/the widest part hitting ~1.75". 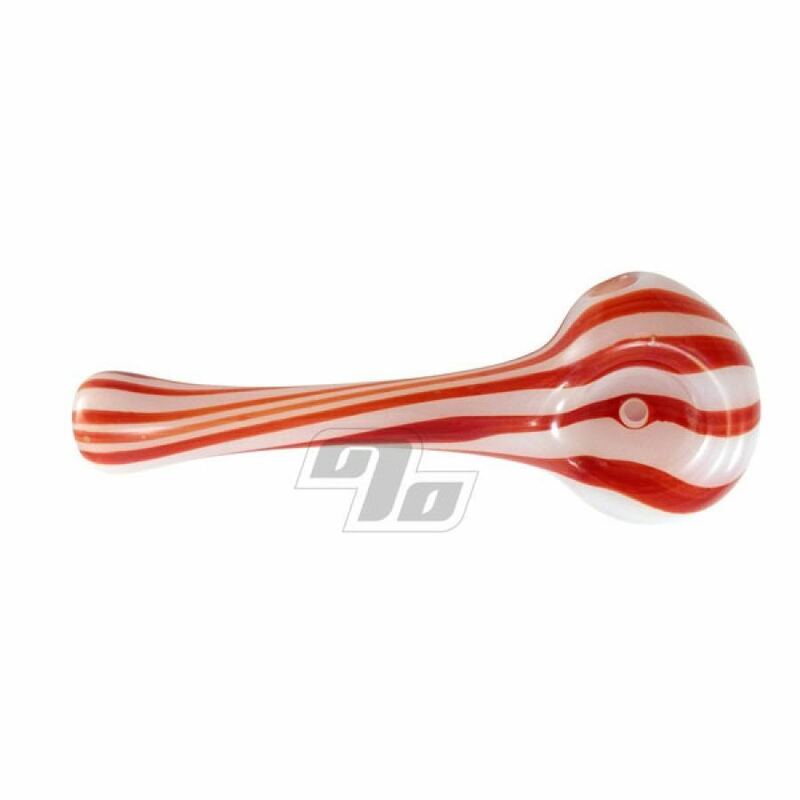 Sugar Matty's the guy to go to for cool + affordable American glass; made nearby us in Boston. The recipient really lies it!